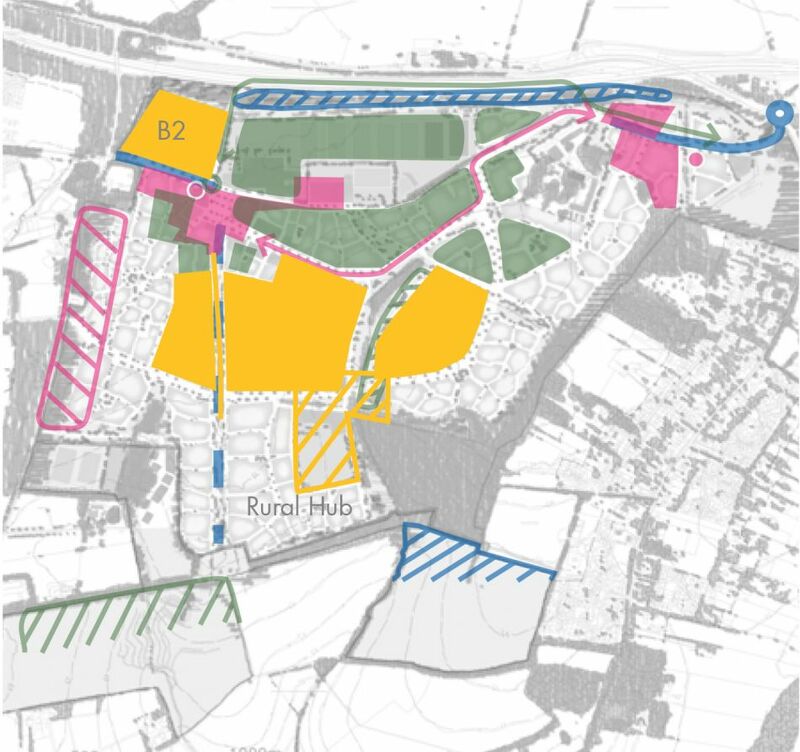 Development at Bourn Airport, near Cambridge. 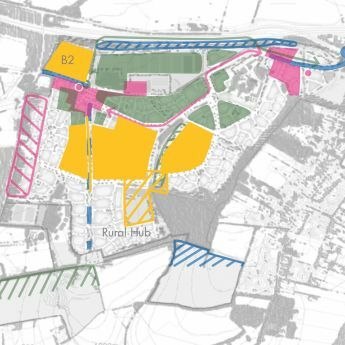 This long-term strategic project is (2017) at a pre-Application stage with an Outline Application expected end 2017. 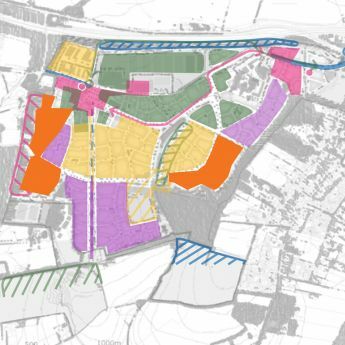 This proposed new settlement involves 3,500 dwellings, three schools, community and mixed-use buildings, employment and workspace barns, environmental and infrastructure works, and currently strategic allocations are being sought in parallel with an Application. 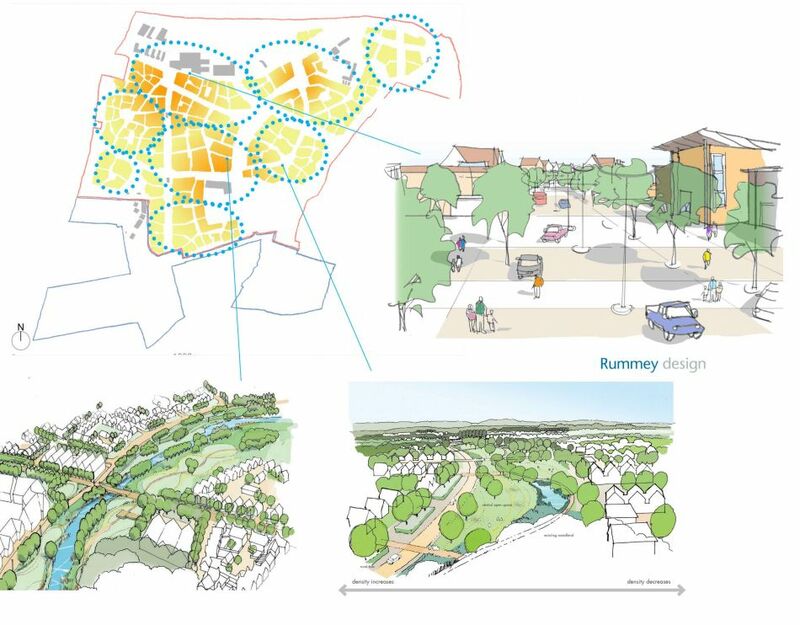 Rummey Design's masterplan has been tested through the Cambridge Quality Panel and in numerous local authority workshops so that it now forms the basis of all further work, including a planning application whilst an allocation is awaited. 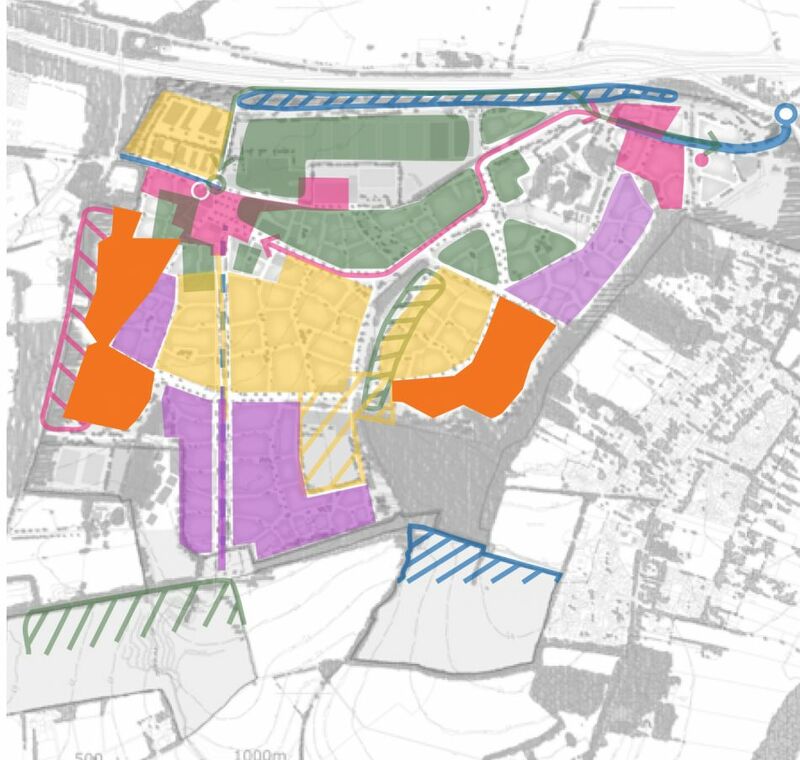 This is a 'landscape-led' masterplan but recently there has been concentration on the urban design of neighbourhoods, the centre, streets and spaces, landscape and the form of development so that the current and historic landscape will form part of the future character. 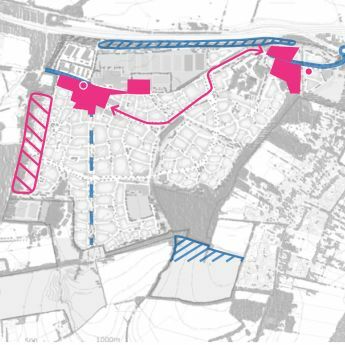 A Second World War runway is to be retained as an important legibility and recreation space. 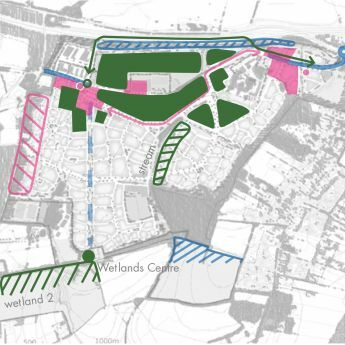 The site is on the cusp between the fens to the north and the Bourn valley, and is in poor state ecologically. Locally there is a strong desire to avoid coalescence, and with the potential to use existing streams and water attenuation this produces a strong landscape to form identifiable but linked neighbourhoods. 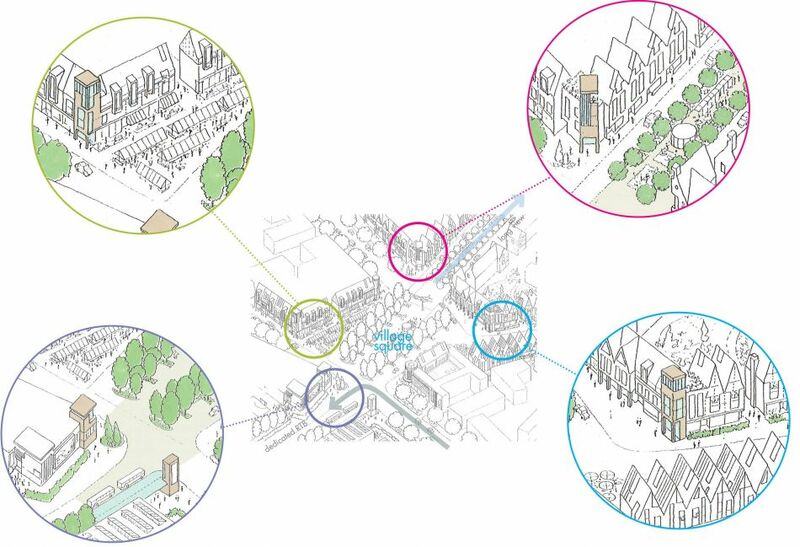 There are two 'anchors'; the Centre contains a senior and a junior school, retail, services, higher density housing, senior living and the key stop for the Bus Rapid Transit to Cambridge. 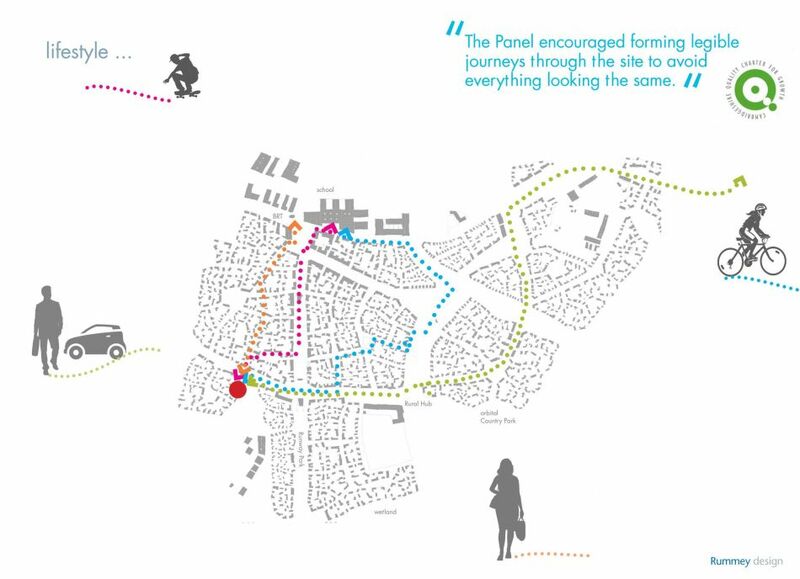 The 'Rural Hub' includes a school, workspace, community hall etc, all within eight minutes walk of 750 houses. 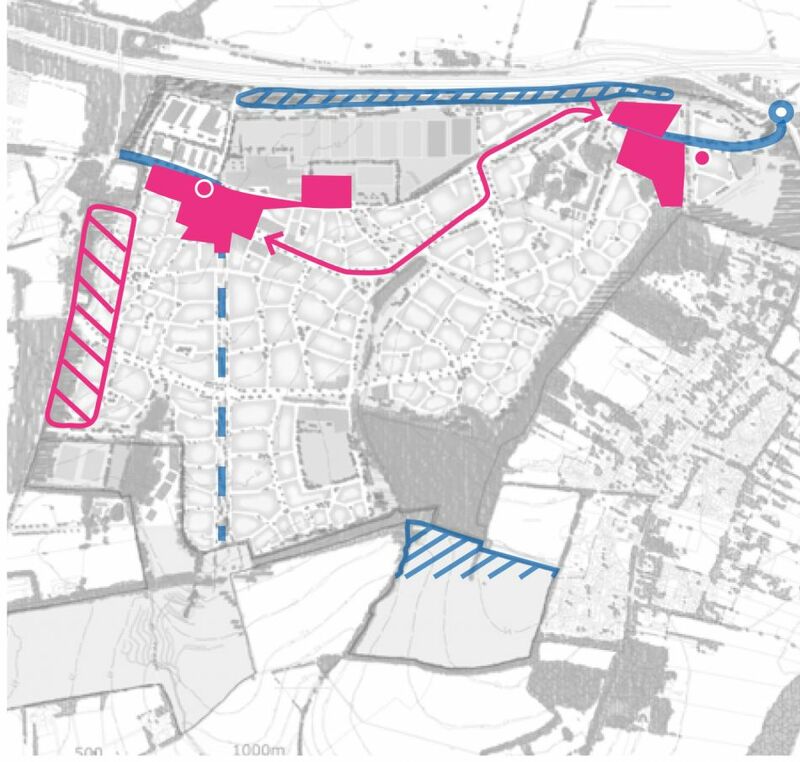 Major greenways through the site provide desire line footpaths; Runway Park based on the main north-south runway could be bounded by taller 'frontage' buildings and comprises community buildings and open space possibly linked by photovoltaic shelters and water channels, preserving the linearity of this 45m wide former bomber runway. This is to be a 'smart' village, where environment, energy creation, social mix, high aspirations and the capacity to work in new ways will be paramount. The site is 20 minutes cycling time to Cambridge Science Park. The design needs to facilitate this but allow people to work at home, or perhaps part of the week in the proposed 'work barns'. 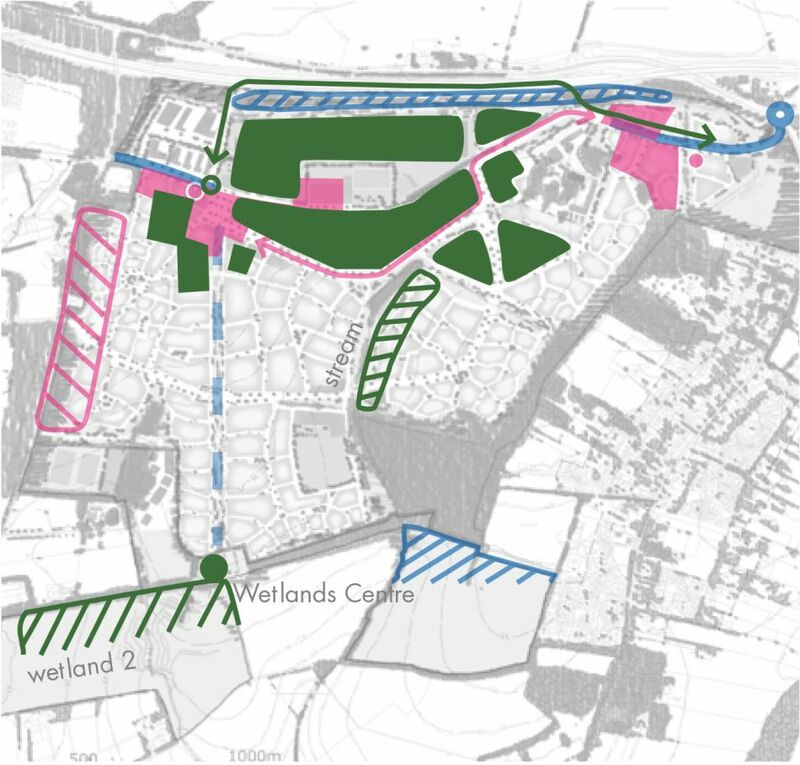 Schools are provided in close proximity to the new wetlands, meadowlands or woodlands, but the village centre, well served by fast and local bus services, is only ten minutes walk away.